Today, 10th of June, is PORTUGAL DAY. No, I haven’t declared it myself for the sake of this travel blog. It is an actual official holiday in Portugal, when both citizens in the country and those abroad (like yours truly!) remember everything that is awesome about our country. As I know some of you haven’t been there yet, I thought it’d be a good idea to show you just how much you are missing out on! For that, we invited several blogger colleagues to share with you WHY YOU SHOULD TRAVEL TO PORTUGAL (sooner rather than later!). Before you point out how biased or over patriotic this article might be, allow me to share with you that these tips come with an international twist: the first group of bloggers are Portuguese, the second is composed by foreign bloggers now based in Portugal, and the remaining are world travelers who have made it to Portugal. That way, we are aiming at sharing a variety of perspectives. 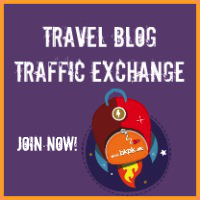 If you want to find out more details about each blogger’s travels in Portugal, soak in some travel inspiration or learn more practical details about how to get around the country, just click the link to their blogs in orange. 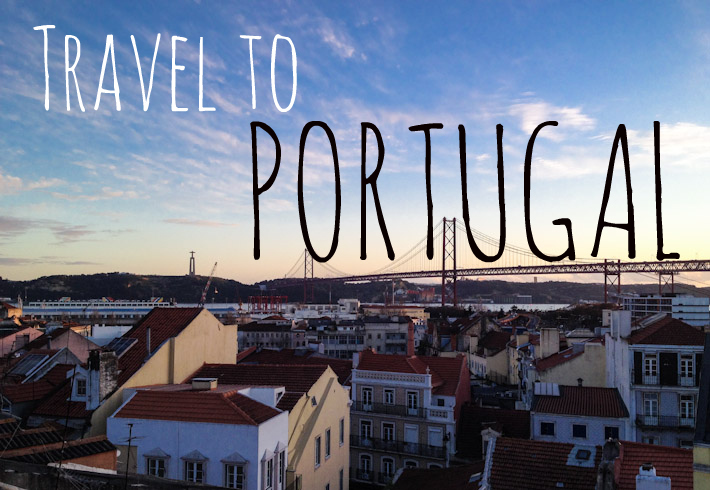 Gear up with these ideas and tips & TRAVEL TO PORTUGAL soon! Tucked at the western part of Southern Europe and blessed with about 220 sunny days throughout the year, Portugal is still one of the least explored countries in the old continent. This is the country where I was born and lived till my late teenage days. This is a warm, friendly, hospitable country that never disappoints neither the adventurer seeking traveler, the backpacker or the luxury tourist. Not as popular as Spain or Italy, but offering a contrast in landscape culture and architecture from north to south that inspires and surprises, even the most exquisite taste. And if the only thing you’ve ever heard about this amazing country has to do with football, Lisbon or Port wine, then you should know there’s more to Portugal than that. Portugal is now becoming Europe’s surf capital, hosting some of the most important competitions and attracting some of the elite surfers from all over the world. Have you seen the video where Maccnamara surfed the highest wave in history? Well, guess what? That was in Portugal. We have around 943 Kilometers (586 miles) of coast, part of it offering a great variety of beaches, both great for surf or just pure relaxation. Head to Nazaré or Peniche if you want to catch some awesome waves. Besides the amazing surf and sun, Portugal is now one of the most important countries for alternative energies and ecological projects. If you’re into eco-villages and natural and healthy living or Yoga retreats, then Alentejo might be your paradise on earth. There are lots of glamping sites offering yoga classes as well as eco-friendly guest houses, offering detox, yoga and cleansing experiences. Welcome to Portugal, the coolest country in Europe. On my travels around the world, whenever I say I am from Portugal I am mostly faced with two types of reactions: quite often people say in an excited tone “oh yeah, Cristiano Ronaldo!”; some others, unfortunately, look puzzled, not knowing exactly where my country is and, of course, having no idea what it is all about. I am half way between telling the world how amazing Portugal is as a travel destination and not wanting way too many people to know about it: part of the appeal lies in the simplicity of it all and the little things tend to change when there are massive amounts of tourist influx involved. Right now, not only it is easy and affordable to get to Portugal from other parts of Europe, my country is also a spectacular place to travel around. Maybe you’ve heard of the unique atmosphere of Lisbon, the stunning beaches in the Algarve or have even dreamed about sipping wine by the riverfront in Porto. All of that is great, but our country goes way beyond a pretty facade. It’s the people, their down-to-earth and welcoming attitude that make Portugal a place where you’ll want to stay for a while. Allow yourself time to get lost beyond the tourist landmarks. 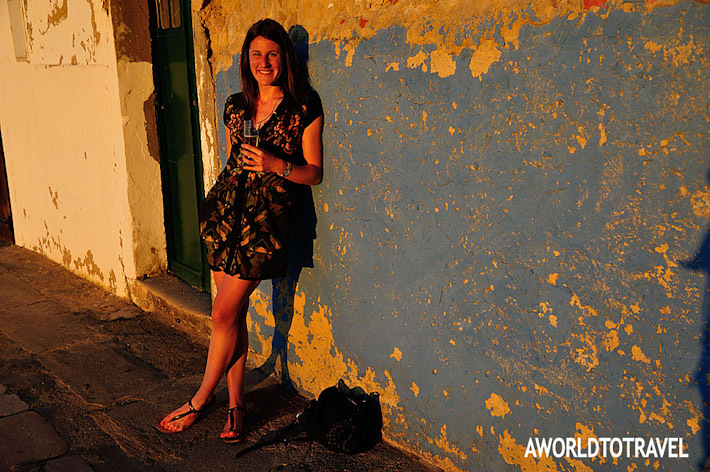 Walk around the cities, towns and villages, in the capital and the countryside, and don’t be shy to talk to locals. They’ll often be happy to share tales with you. Also, if you’re a foodie, Portugal will reward you with a rich cuisine, best paired with an abundant variety of local wines. 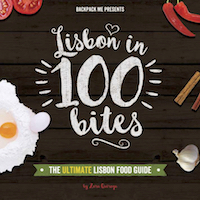 Start here if you don’t know yet what Portugal tastes like and check this Portugal Food Travel Guide for further mouthwatering reads. 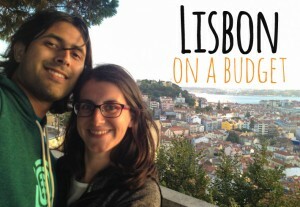 This small blog post could never be long enough for me to convince you to travel to Portugal. But trust me on this one: if you like places that feel real, you’ll feel at home in our country. Portugal is in fashion at the moment and since it tends to win the hearts of most people who visit, it’s likely to remain popular for a long time to come. Visit now and you’ll be ahead of most of the crowds. I’ve been living in and exploring Portugal for almost seven years and have always felt very safe, even when travelling alone. It’s also possible to travel very cheaply and to find places that are untouched by tourism, if that’s what you want. The landscape varies dramatically across Portugal from flat plains, boulder-strewn hills, craggy mountains and gorges, thick forests and the undulating slopes of the Douro valley vineyards to the coastal flats and sheer cliffs. In short, there’s something to appeal to everyone. And given that half the country borders the ocean, it’s no surprise that there are beautiful beaches from north to south. What you may not realise is that they’re not limited to the coastline. Even inland, you’ll find a network of river beaches which I now prefer in many respects to coastal beaches: the water is usually calmer and warmer; they’re less touristy and windy and usually offer free shade in the form of trees as well as more to see and do while you’re there. Famous for its sandy beaches, the Algarve is possibly the most well known part of the country aside from Lisbon and Porto. I think it’s highly overrated. I much prefer the greener, more architecturally, culturally and geographically rich regions of the centre and north which also tend to be less affected by mass tourism. Some of my favourite places in Portugal include the former border towns with their hilltop castles now in ruins but still overlooking magnificent scenery. Marvão, Sortelha and Monsaraz are all excellent examples. Monsanto is another, but quite unique in that many of its houses incorporate the gigantic granite boulders that littler the landscape. 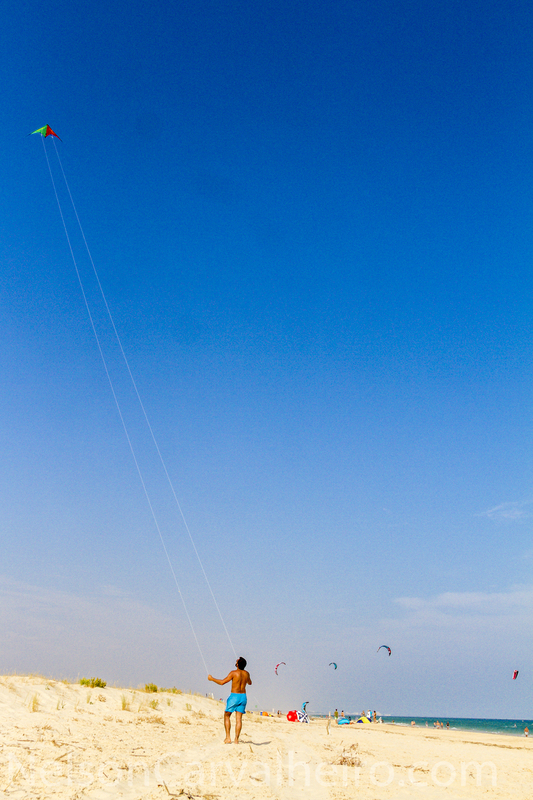 When you come to Portugal, make sure you find time to explore beyond the big cities and beach resorts. You’ll find plenty to make it worth your while. Travellers going to Portugal for the first time will no doubt spend more time in the cities, but I urge everyone to visit the tiny villages in the mountains, where time seems to have stood still. I live in the north, where most of these villages can be reached within a few hours’ drive. For the ones still inhabited, they are now essentially living museums, but they won’t live forever — urbanization is shrinking the villages. Go before they completely disappear! 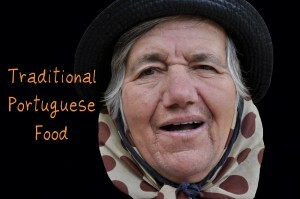 So what can you expect to find in rural Portuguese mountain villages? Some are only ruins now, some accessible only by hiking, a few have been restored. You’ll find villages made entirely of schist, or whatever stones are local to the area. Along the mountain roads, chances are you’ll be passed by longhorn cattle making their trek to the upper pastures; be prepared to stop for sheep and goats. There probably won’t be enough room for the car so you’ll make your way up the steep stone path to the village on foot, outpaced by little grandmas with big smiles, no teeth, and layers of skirts — even in the hot sun — making their daily journey from the chapel on another mountain. Every village has at least one chapel, but you’ll also see them in unlikely places, like the middle of an orchard or vineyard. If the village has only a couple of hundred regular residents, like my husband’s family village, you might notice the absence of a grocery or convenience store. On certain days, you’ll hear horns from the fish van or the bread van announcing their presence. Each horn is different; the locals know which is which. There are no banks. No shops. No corporate banners. No brands… oh, but wait: the Portuguese love coffee so if the village is larger there might be a “cafe” — I use the term loosely because it just looks like someone’s door is left open — marked by a coffee brand at the entrance. Nearby, possibly a burro or oxcart, but always a village dog or two lounging around in the sun. If you can swing it, I highly recommend visiting a village during their patron saint’s festival: there’s often a parade, traditional clothing, music, food, and a festive atmosphere. You won’t find anything flashy, it’s not for tourists. But you’ll forget it’s 2014, if only for a day. No doubt that I left my heart in Portugal. Last year was the first time I took a trip to Lisbon and Porto, I ended up not wanting to leave the country. Perhaps it was the laid back atmosphere, or the trams that move through its small, artistic alleys or maybe the delicious, fresh food – whatever the reason, I knew I was hooked. 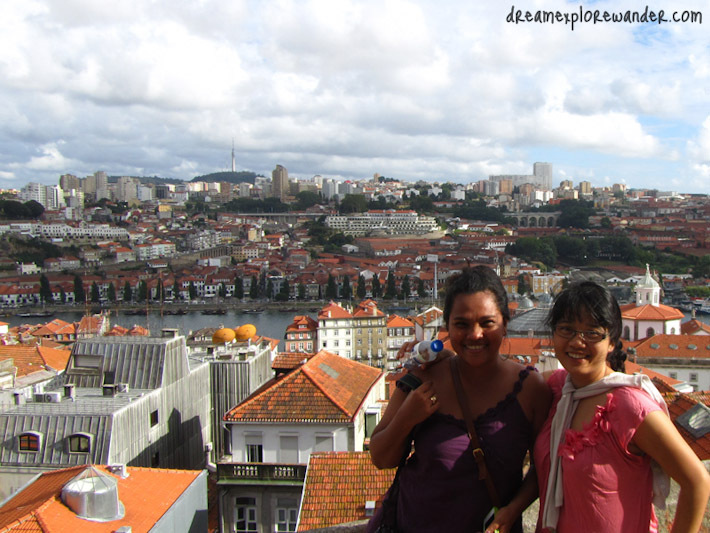 Porto is a city that was not initially on my itinerary but a friend’s idea made the place on my list. And was I glad she suggested it! I was in love with its beautiful train station, São Bento, the hilly terrain and the bright blue tiled churches. Most of all I was addicted to the friendliness of its locals and the food! Oh the food, (francesinha I’m looking at you)! 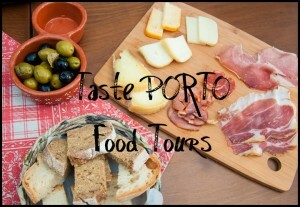 One of the places that I recommend for travellers coming to Porto is the small restaurant Casa de St. Antonio. The friendly staff helped me pick the food and let’s just say I went out of the place with a huge grin. I also recommend Flor Dos Congregados, for their authentic Portuguese food and its freshest ingredients, as well as A Loja dos Pastéis de Chaves for some amazingly delicious pastries. I would go back to Porto again and just enjoy the place all over again. So, if you’re lucky enough to pop into Porto, enjoy the Douro valley, take the vintage tram, sip a coffee or two at the legendary Majestic Cafe, but most of all enjoy its food! Apart from being a perfect year-round destination, Portugal has its special perks when late Spring / early Summer kick in. Having lived in Lisbon while working on a sustainable architecture firm back in 2009, it’s always been my favourite destination for a few days or even weeks. And that’s why, living in Galicia – a North West coastal area of Spain a bit more off the beaten path than the touristy Mediterranean coast and Andalusia, we pay a visit to our neighbour country Portugal at least twice a year. - Experiencing the special June events and parties. Not only in Lisbon but in many other cities this part of the year is widely celebrated. Enjoy some sardinhas assadas while mingling with the locals in the lively streets filled with joy and music. What’s not to love? -Improving your surfing skills. Peniche and Ericeira are one of the best spots in Europe for surfing. On top of that, they are amazingly stunning! It’s difficult to beat a sunset by the rock formations in Peniche! To just head to a cozy restaurant where to taste the freshest fish caught right there with a cold Super Bock beer half an hour later! -Getting involved in A Queima das Fitas in Coimbra, one of the oldest University cities in the country. You’ll remember this graduation events forever! -Attending a festival or two. Paredes de Coura music festival, in the north of the country is the first one we mark in our agendas at the end of the year – Three years in a row and counting! – Some of the wrists in my hand remind me every day how much fun it was and to come back next edition. A line up to die for and a natural auditorium by the river make it just perfect! Mild weather, friendly people, awesome traditions, beautiful scenery and affordable prices make the rest. What are you waiting for? If nature and hiking in Portugal is what you’re after, Gianni and Ivana from Nomad is Beautiful have also compiled this article with useful information about some of the best hiking paths in Portugal! thanks for the opportunity to share my love for Portugal! 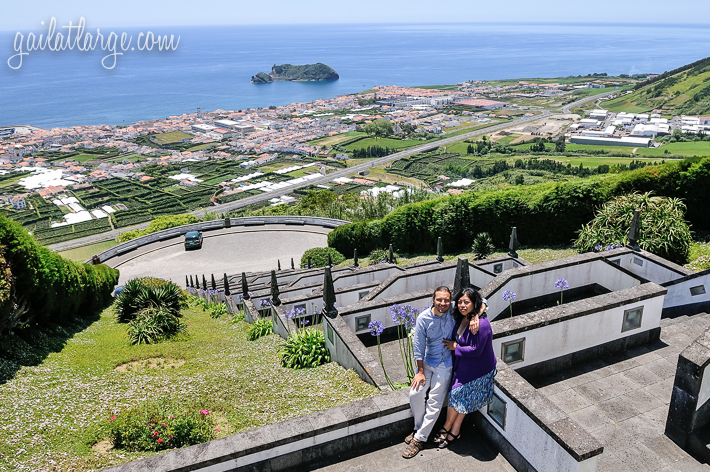 Nelson, your love for Portugal is so contagious! Thanks guys! It’s always a pleasure to write about Portugal.. :) Can’t wait to go back! Thank you so much for the invitation to participate on this amazing post. Portugal it is an amazing destination that is fortunately not taken over by the mass tourism industry and I hope it stays that way, it’s its charm I guess. I’m going back on the 8th of July and can’t wait to be near the beach, enjoy the famous Lisbon light and the magical 7 hills. Are you coming back any time soon? Yes, we’re planning to go back sometime in September. Maybe this time we’ll coincide over there?! Thank you Zara for inviting me to be a part of this post to share the beauty of your gorgeous country! It’s always a pleasure to see one’s country through the eyes of a visitor! Great post, Zara! It’s fascinating to read everyone’s perspectives and I’m thrilled to be part of this post. Let’s hope it brings more people to Portugal to discover it’s charms without spoiling its beauty. I wish more people realized Portugal’s potential but, as you well say, without spoiling it either. It’s a fine balance, but I think so far so good! Oops! I meant its, not it’s! I am also a travel blogger from Portugal and I would have love to participate in sharing the beauty of my country! I can relate to everything that has been said. June is really the best time of the year to come to Lisbon. It is sunny, warm enough without being sweaty-hot (like August) and you have the popular parties all around the typical neighbourhoods! It really beats me why Portugal is so little touristed compared with Spain next door and the rest of Europe. 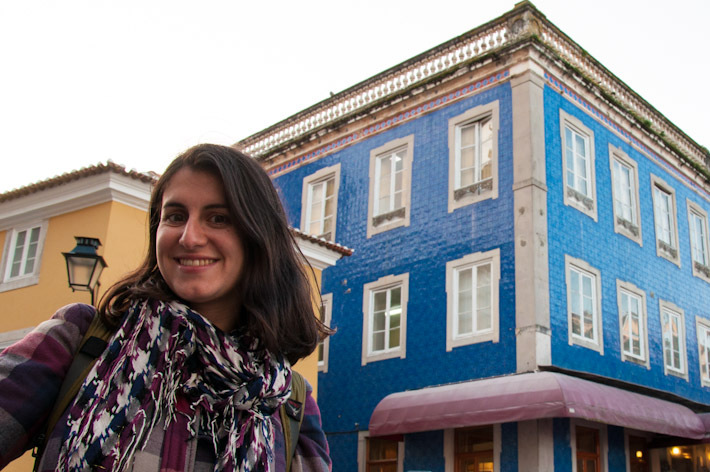 It looks lovely – a friend of mine lists Lisbon as her favourite city in the world! I guess it’s all a matter of marketing. Also, because Portugal is in the “corner” of Europe you HAVE to make a plan to go there, you just don’t happen to cross the country on the way to anywhere else. Slowly but steadily things are changing though.. and many more people are realizing how amazing Portugal is as a travel destination! I’ll be looking forward to read about your experiences in Portugal. Thank you for sharing with us about the beauty of Portugal. I visited Madrid last March and it was my first time to go to Europe (since I am from SE Asia). It was also my first time experience a cold weather and be in a place with the language that I don’t understand. It was a very exciting experience to me as a first timer. I probably would go back to Europe next year in March and would choose Lisbon as the place to discover. The tips you have mentioned will really help me tour around the country. I hope you make it to Portugal next year and enjoy your time there! Portugal looks amazing. I would love to visit it, too. I’m back from (Portuguese) Africa and sending a very belated THANK YOU for inviting me to contribute to the post about Portugal Day! There are so many things to love about Portugal I had to really think about focusing on just one, otherwise I’d never have made the deadline. Plus I’m as conflicted as the others about Portugal getting too popular. It’s natural that when you choose to make a place home, you get a little protective of it. Tourism is good for the economy, but mass tourism brings its share of problems. That said, I hope to give blog readers an idea of just how photogenic Portugal is through my pictures… it’s such a beautiful place! 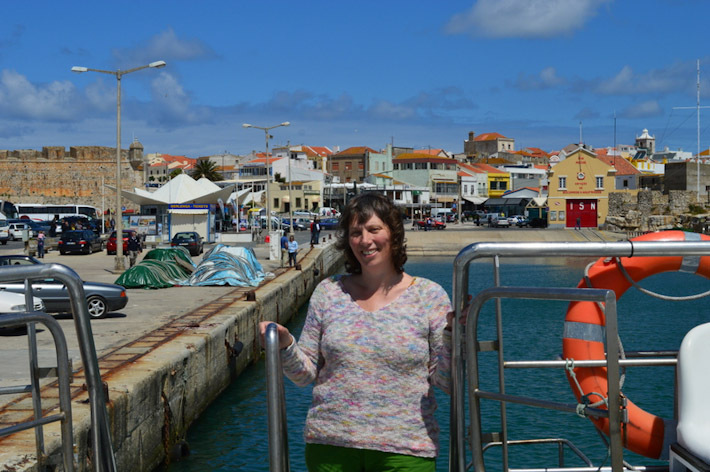 Thanks for sharing your thought on Portugal with us, Gail!